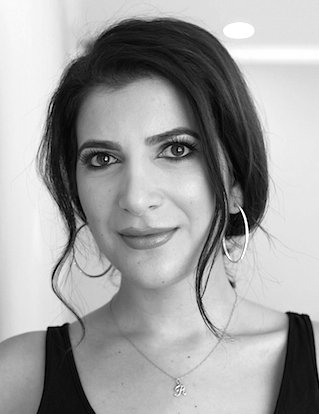 Rashell Bastan is a licensed aesthetician and make up artist who has been in the beauty industry for over a decade. She has worked for various luxury beauty brands including Giorgio Armani and Tom Ford Beauty. Rashell came on board at Brigitte Beauté in 2016 as our own in-house brow and lash specialist. She is known for her amazing work transforming faces with eyebrow shaping and eyelash extensions. Her clientele includes celebrities from the film, TV and music industries. 1. Keep lash extensions dry for 24 hours. If they get slightly wet, immediately brush and blow dry them. 2. No oil, lotion or cream around the lash line as they can dissolve the adhesive and cause the extensions to come off prematurely. 3. No q-tips or cotton pad: the fibers can get caught on the lashes. 4. No waterproof eyeliner or mascara: if mascara is used, it has only to be applied to the tips. 5. Cleanse lashes with baby shampoo and water every night. Apply to finger tips and dab side to side. To remove any eyeshadow or eyeliner, use an oil free makeup wipe, then wash with baby shampoo. Rinse, then blow dry at arms length at a medium temperature.